As a sidenote to the previous post on tailwinds and supersonic flights, if you love flying one of the many things that you would do is check out the flight path. But when you do so, you might lay your eyes on some bizarre looking routes. This is the flight path taken by an emirates A380 flight operating from Dubai to Los Angeles. And as a result of this projection, drawing a straight line across the map would not yield the shortest distance. Instead, the shortest course between two points on the surface of a sphere is known as the Great circle route. It is to be noted that although the distance is shorter when one takes the great circle route,one has to account for a lot of other factors while planning a flight path ( such as wind patterns, fuel consumption, air temperature, etc ) and it is not uncommon for pilots to deviate from the great circle route. In 2015, a 777-200 made the Newyork-London route in 5 hours,16 minutes where the usual journey time is ~7 hours. riding a powerful jet stream of up to 322 km/h (200 mph) tailwinds and breaking the sonic barrier ( 1224 km/h (761 mph)). If you are headed downstream i.e in the same direction as the river stream you will reach your destination faster than if you were rowing upstream. Similarly a tailwind is one that blows along the same direction of the aircraft increasing the net speed of the aircraft ,and headwind is one that blows in the opposite direction and slows the craft down. So, does this mean that if you are moving at v kmph and there is a headwind of -v kmph, you would just hover? Hell yeah! A phenomenon known as ‘wind shear’ occurs when the wind speed changes abruptly, which can cause turbulence and rapid increase/decrease in velocity of flight. This can be really challenging during landing since if the headwind turns tailwind, there is a possibility of the aircraft overshooting the runway due to the increased velocity. The aviation industry takes advantage of trade winds and jet streams in order to cut time off the flight and save fuel. definitely make your travel time shorter. As a result of jet streams, within North America the time needed to fly east across the continent can be decreased by about 30 minutes if an airplane can fly with the jet stream, or increased by more than that amount if it must fly west against it. How do pilots know about this ? Pilots receive a weather briefing actively during flight. Included in the briefing is the best combination of jetstreams and other wind patterns that the pilot can take advantage of saving time and fuel. Many airports have runways facing in different directions in order to allow the pilots to use the runway that faces the wind during take off/landing. A vortex portal to another universe. This is known as wingtip vortex. It is a ramification of the design of the wing and how it works. How does an aircraft fly? Think of it like this, due to the design of the wing, larger number of air molecules are hitting the bottom portion of the aircraft than the top. As a result, a upward force acts on the wing, hence the wing lifts! This works fine till we get to the wing tips. Why do birds fly in a V formation? Migratory birds take advantage of each other’s wingtip vortices by flying in a V formation so that all but the leader are flying in the upwash from the wing of the bird ahead. ( Look at the image, each one is exactly out of phase in its wing motion ). This upwash makes it easier for the bird to support its own weight, reducing fatigue on migration flight. And somehow birds know about this and recalibrate themselves in flight? Wow! There is so much more to a bird’s flight that that meets the eye. I will take up the same sometime down the line. But, If you are really curious to find out why, read this nature article. PC: John Benson, boldmethod,mathcareer, natgeo, NASA. EDIT – Also do check out the Smoke Angels. So we now understand about boundary layers, flow separation, stalls, what causes them, how to detect and get out of one (previous post). One way to delay stalls is by inserting is a small angled plate on the wing known as Vortex Generators. They impart a rotational/swirling motion to the flow of air on the surface of a wing. Why do Vortex generators work? The swirling/rotational motion of air prevents the separation of air from the wing earlier on. This increases the lift and/or also reduces drag. reduces. This means that you can fly (and land safely) at low speeds without stalling. And it has also been shown that VGs reduce the noise generated by air inside the aircraft. Now this idea of forcibly generating vortices to increase lift and/or reduce drag finds application in some crazy places and we shall be looking at that in the next post. 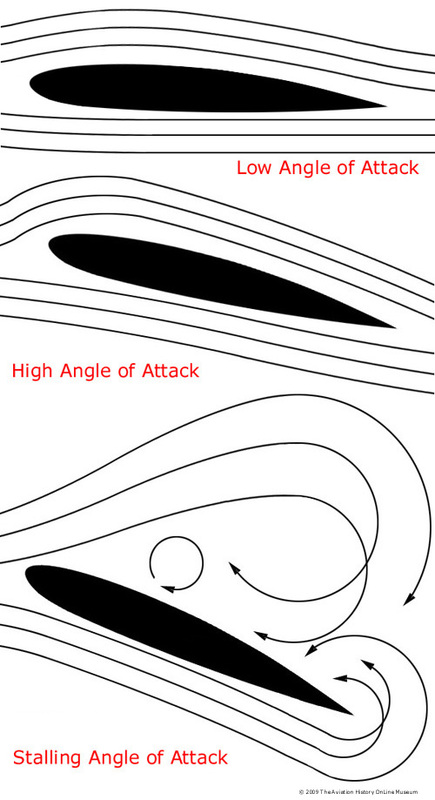 The proposition that more the angle of attack, more the lift does not hold at all angles. At about 14 degrees, something weird happens and the aircraft instead of soaring the skies starts to plummet to the ground. When this happens it is known as a stall. upward force we call lift. Upon reaching a certain velocity, the aircraft’s lift is more than its weight and as a result, the aircraft takes off . There is a high chance that you might have heard this word even in a casual conversation about wings and that’s because its an important concept in the context of aerodynamics and associated fields. To understand the physics of a stall, lets consider the interaction of a moving air on a flat plate. The nature of airflow over a wing/plate is the result of stickiness or viscosity of air. The first layer sticks to the wing/plate not moving at all. The second layer in frictional contact with the first moves slowly over it. Thus layer by later the flow builds up to the free stream velocity or airspeed. These layers of flow are known as boundary layers. What happens to the BL during a stall? 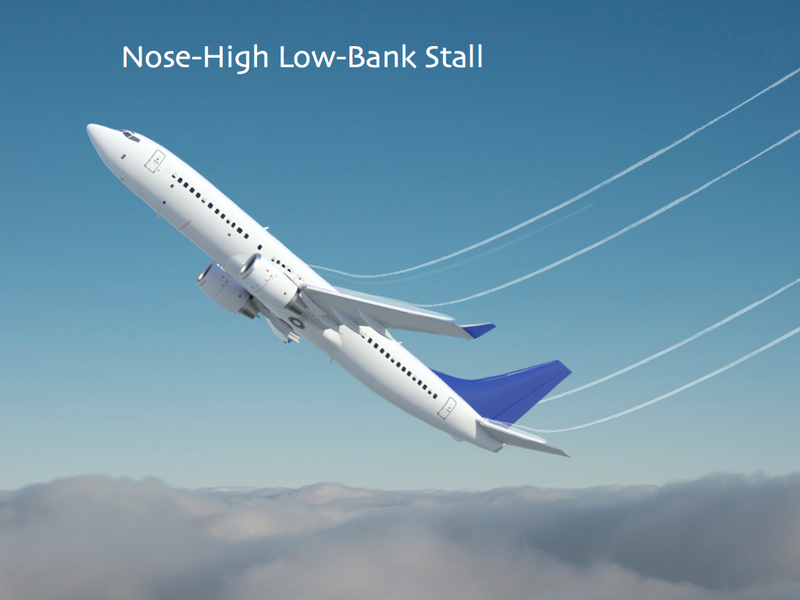 During a stall, these successive tiers of air that form the boundary layer lose their gripping on the surface and break away into turbulence. It takes a pressure difference between the top and bottom parts of the wing in order to produce lift. But when the flow of air becomes turbulent ( i.e during a stall ), this pressure difference is no longer established. As a result of which, the lift drastically decreases and the aircraft starts dropping to the ground. How to get out of a stall ? As the airplane loses altitude, its nose dips down and airspeed picks up quickly. This restores the lift and the pilot would be able to regain control and bring the aero-plane into level flight. How are stalls detected ? activates a buzzer/horn inside the cockpit. Large commercial aircraft typically rely on either Angle of Attack (AoA) Vanes or Differential Pitot Tubes to supply input to flight computers for the purpose of calculating AoA. Boundary Layer concept — > Why do aircrafts stall ? — > How to get out of one — > How are stalls detected ? Hope you enjoyed today’s post and learnt something new. This post covers the fundamental principles from which the subsequent posts queued up for this weekend are derived from. Stay tuned.. It is gonna be wild ride. P.S: If you study at UCDavis, feel free to ping me ! When you are in the combat zone, agility of a fighter jet is of utmost importance. But as an engineer, if you have already fiddled around with the wing structure your next option would be to fiddle around with the direction of the thrust. Thrust vectoring is primarily used for directional control in rockets and jets. And one achieves this by manipulating the direction of thrust . This generates the necessary moments (and forces) that enable the directional control of the aircraft. manipulated using only the vectored engine thrust. plus either roll or yaw) while 3D controls all three. The F-35B short takeoff/vertical landing (STOVL) variant is the world’s first supersonic STOVL stealth aircraft. It achieves STOVL by swiveling its engine 90 degrees and directing its thrust downward during take off/lvertical landing mode. In the following gif you can witness the transition from a 90 degree tilted engine towards a forward thrust engine during flying. Unlike other variants of the Lockheed Martin F-35 the F-35B has no landing hook. And as a result, witnessing its landing is rather pretty special. gold mine for research. If this sort of thing fascinated you, there have been a lot of research conducted by NASA do check them out. *Rockets – How to turn during flight ?